Raymond Danowski returned to Emory's Robert W. Woodruff Library in June 2014 for a board meeting of his namesake poetry library in MARBL. Credit: Emory Photo/Video. Gertrude Stein's second book, "Portrait of Mabel Dodge at the Villa Curonia," published in 1912, was added to the Danowski poetry library in 2011. Credit: Raymond Danowski Poetry Library collection; MARBL at Emory University. Photo: Paige Knight. A patron of many writers and artists, Mabel Dodge herself signed this copy of Gertrude Stein's 1912 book, "Portrait of Mabel Dodge at the Villa Curonia." Credit: Raymond Danowski Poetry Library collection; MARBL at Emory University. Photo: Paige Knight. This limited edition of poet John Ashbery's "Self-Portrait in a Convex Mirror" was recently added to the Danowski poetry library. Credit: Raymond Danowski Poetry Library collection; MARBL at Emory University. Photo: Paige Knight. 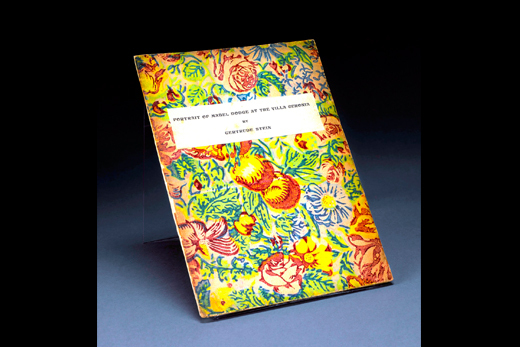 This first edition of "Howl and Other Poems" by Allen Ginsberg is one of 25 copies the poet had typed up and sent to friends before the book came out. Credit: Raymond Danowski Poetry Library collection; MARBL at Emory University. 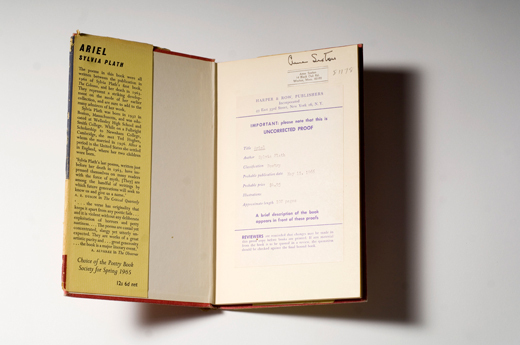 Poet Anne Sexton's personal, annotated 1965 proof copy of Sylvia Plath's "Ariel." Credit: Raymond Danowski Poetry Library collection; MARBL at Emory University. A 1917 first edition of T.S. 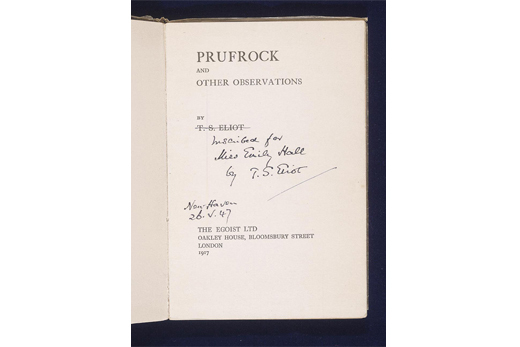 Eliot's "Prufrock and Other Observations," inscribed to his close friend Emily Hale. Credit: Raymond Danowski Poetry Library collection; MARBL at Emory University. Aug. 29-31: The Raymond Danowski Poetry Library Track at the AJC/Decatur Book Festival will feature 16 poets this year, including 2014 Pulitzer Prize-winner Vijay Seshadri, previous U.S. poet laureate and Pulitzer Prize-winner Natasha Trethewey, American Book Award-winner and Emory professor Jericho Brown, Kingsley Tufts Poetry Award-winner Matthea Harvey, and American Book Award-winner Kevin Young. Oct. 2: Seamus Heaney event at Emory's Schwartz Center for the Performing Arts. Natasha Trethewey, Kevin Young, Tracy K. Smith, Belinda McKeon, and other guest poets and writers will read Heaney poems as well as their own work during an evening of poetry and music with the Vega Quartet. Free but tickets may be required; additional information TBA. Other events will be announced throughout the academic year, including poetry readings for Season 10 of the Raymond Danowski Poetry Library Reading Series, and the autumn release of a portfolio containing all of the poets' broadsides from the series. Check Robert W. Woodruff Library's News and Events webpage for updates. The Manuscript, Archives, and Rare Book Library (MARBL) at Emory University is celebrating the 10th anniversary of its Raymond Danowski Poetry Library with a poetry track at the Decatur Book Festival during Labor Day weekend and special events beginning in October. MARBL acquired the collection, with more than 75,000 volumes at the time, in 2004 from South African book collector Raymond Danowski. It is regarded as the largest collection of 20th-century English language poetry in one location, says poet Kevin Young, curator of literary collections and the Raymond Danowski Poetry Library and professor of English and creative writing at Emory. In its decade at Emory, the Raymond Danowski Poetry Library has continued to grow and flourish. The collection is the focus of an annual reading series of acclaimed poets with accompanying original letterpress poetry broadsides, among other events. Notable additions to the poetry library include a first edition of Allen Ginsberg's "Howl and Other Poems," a wealth of R. Crumb's counterculture "comix," and rare editions, such as Gertrude Stein's second book, "Portrait of Mabel Dodge at the Villa Curonia," which was added three years ago. 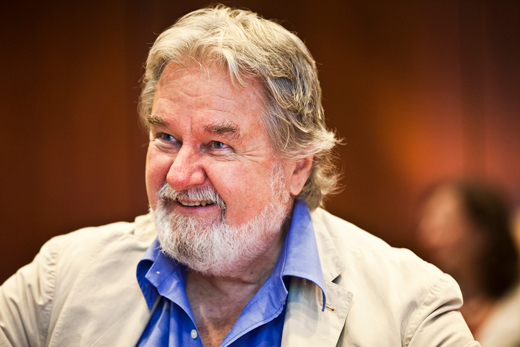 "The Raymond Danowski Poetry Library establishes Emory as a place of poetry. And in so doing, it raises the visibility of and accessibility of poetry for people of diverse backgrounds and disciplines," MARBL director Rosemary Magee says. "It highlights the centrality of poetry as a way of thinking and being in the world." A list of 10th anniversary events appears in the sidebar. As additional details and events are announced, updates will be posted on the Robert W. Woodruff Library's News and Events webpage. The Danowski collection contains first editions, chapbooks, photographs, typescripts, literary journals and correspondence, as well as counterculture and other materials related to the civil rights movement, Vietnam War and other 20th-century issues thought to affect some of the poets. The holdings come from the U.S., Australia, India, Canada, South Africa, and Ireland, Scotland and other parts of the U.K. Researchers have traveled from many of these same countries to use the collection. The collection includes works and other materials by and about poets such as W.H. Auden, Charles Bukowski, Maya Angelou, Seamus Heaney, Sylvia Plath, Ted Hughes, Amiri Baraka, William Burroughs and many others. Limited editions by Langston Hughes, with his own handwritten corrections. The collection is heavily used in MARBL's instructional program, as well as Emory classes in creative writing, African American studies, Irish poetry, the civil rights movement and even choreography. Scholars have come from all over the world and the country, especially from the Atlanta region, including Morehouse College, Spelman College, Georgia Institute of Technology and several Atlanta-area high schools. 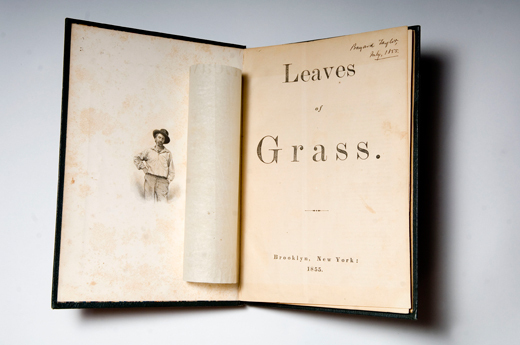 Danowski had been collecting the work of 20th-century English-language poets for more than 25 years. He had acquired so many books and other materials that he was storing them in a warehouse in Switzerland. He wasn't a casual collector, though; he had a specific purpose in mind. "I set out to make a comprehensive university collection rather than just a gentleman's home library," Danowski says. He spent years considering future homes for the collection. Danowski's primary desire was that the collection be accessible to undergraduates. He was unable to find an institution that would embrace that aspiration, until he met Emory English professor Ron Schuchard. Danowski knew he'd found the perfect place for his library when Schuchard told him about MARBL's collections from poets such as Seamus Heaney and Ted Hughes, and its mission of giving students, including undergraduates, access to original materials. The Danowski poetry library came to MARBL in 2004. William M. Chace, who was Emory president until 2003, was involved in the discussions with Danowski to bring the collection to Emory even after he left the presidency, as were Schuchard and Steve Enniss, who was MARBL director at the time and who was instrumental to the success of the agreement, Chace says. "I have fond memories of when we were negotiating to bring this extraordinary collection to Emory," says Chace, who remains involved as a member of the Raymond Danowski Poetry Library board. "Ray's terms were he wanted it to be open and accessible, and other institutions couldn't promise him that." Magee remembers that when the vast Danowski collection arrived at Emory – it had filled four sea-freight containers with more than 1,000 boxes and crates – a call went out to faculty and staff asking for volunteers to help unpack. Magee, who was then a dean in Emory College, spent time one day helping to unpack boxes. "The idea that members of the community could contribute to the effort to establish the Danowski collection here was very consistent with the concept of bringing the materials here – especially to Emory, where there is equal access for students, scholars, visitors, poets, writers and researchers of all types," Magee says. "The very mission and vision of MARBL was part of the inspiration and the decision to bring the Danowski materials to Emory." Danowski is pleased to see and hear of students using the collection. "What's exciting is the use put to it by undergraduates," he says. "You see the material stimulating an interest in and consideration of the object in an age when everything is being digitized." "I'm very attached to Emory, and I always have my eyes open," he says. "It's a matter of energy and luck." 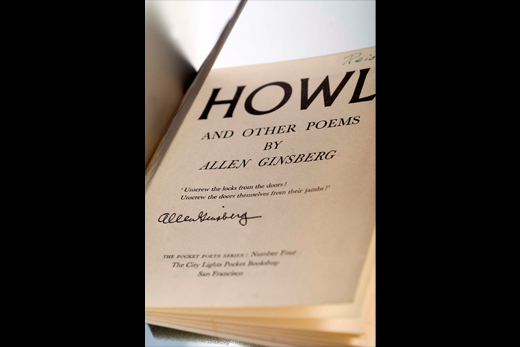 Over the years, Young has made additions to the Raymond Danowski Poetry Library, including a first edition of "Howl and Other Poems" by Allen Ginsberg, one of 25 copies typed up before the book came out. Young says Ginsberg sent these typed copies out to friends. The MARBL copy is inscribed to poet Alan Anson, a character in the novels "On the Road" and "Naked Lunch," with another inscription that says it was to be published July 30, 1956. "That's a really rare book," Young says. "Our copy has some changes to it. Ginsberg made some edits that are really interesting." Two recent additions are particularly notable. The Raymond Danowski and John Martin collection of R. Crumb material, 26 boxes of material related to counterculture comic creator Robert Dennis Crumb, considered the father of the underground comic ("comix") movement and best known for his "Keep On Truckin' " strip. Young says this collection encompasses everything Crumb printed from 1958 to the early 2000s, including magazines and comix, as well as correspondence (much of it with Martin, who was Crumb's publisher at Black Sparrow Press), printed and audiovisual material, and memorabilia and other objects. "A lot of researchers are interested in comix and this connection between visual art and poetry, which Crumb definitely had," Young says. Another recent addition is a limited edition of poet John Ashbery's "Self-Portrait in a Convex Mirror." 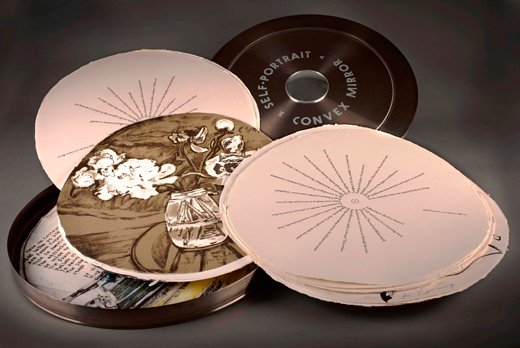 The poem, printed on round sheets, comes in a circular metal box, along with an LP of Ashbery reading the poem. Included inside is a prefatory note by Ashbery himself; an original essay by Helen Vendler printed as liner notes with the LP; and original artwork by Elaine and Willem de Kooning, Jane Freilicher, Larry Rivers and Alex Katz, among others. "It's a beautiful item," Young says. The Danowski collection has grown not only with physical additions, but with a public presence, particularly the poetry readings. The Raymond Danowski Poetry Library Reading Series, which begin in 2005 with Young as the featured reader, has welcomed 25 poets to read on the Emory campus, including Seamus Heaney, Lucille Clifton, Billy Collins, Rita Dove, Paul Muldoon, Elizabeth Alexander, Natasha Trethewey and Mary Oliver. Nearly all of them wrote an original poem for the occasion's broadside. In addition to expanding the collection and maintaining the poetry series, the Raymond Danowski Poetry Library will continue to grow in new ways and build name recognition. The collection has been used for exhibitions, and some of the material traveled recently to New York City and France; Young hopes that will continue. When the newly renovated MARBL opens in fall 2015, it will feature a seminar room named for Danowski, with displays built from the poetry library. And MARBL recently began partnering with the Emory Center for Digital Scholarship (ECDS) on a digital project involving the collection. There is also the relentless pursuit of filling the gaps in the Danowski poetry library, as when Gertrude Stein's second book, "Portrait of Mabel Dodge at the Villa Curonia," was added in 2011. 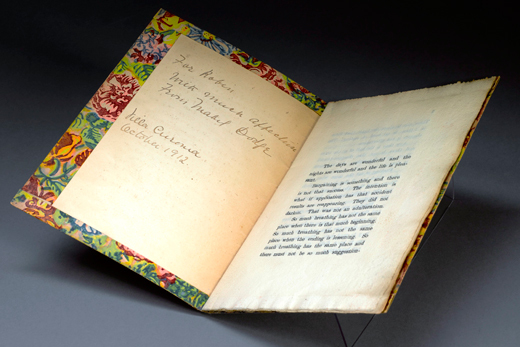 The book is inscribed by Mabel Dodge, who was a writer and patron of many well-known artists and writers, Young says. "We want to have everything Stein wrote, and we didn't have that second book – it's really rare," he says. "It's one of 300 copies, and it's very fragile. It has a beautiful cover." Young says the collection is "pretty complete on Stein. We're very complete on Seamus Heaney, and we've added some items from Ted Hughes and Marianne Moore. There are a few things from Lucille Clifton that I realized we don't have. "We try to be complete, as much as possible. That's the goal of the Raymond Danowski Poetry Library," Young says. "The things we're looking for are pretty obscure. There's always something we're trying to add."